Our Pomeranian is 5 years old. He started coughing a few months ago and I took him to the vet. He said he had tracheal collapse. We didn't want to put him on steroids and the coughing medicine they gave him didn't help. I looked up about tracheal collapse and researched websites to try an herbal medicine. Our dog has been using it for two weeks and we already noted a difference in 4 days with his cough. He doesn't cough that much now and when he does, it is a quieter cough. I've already purchased more bottles of the Lung Qi Support Phlegm-Heat and the Hound and Honey Phlegm Heat Syrup. 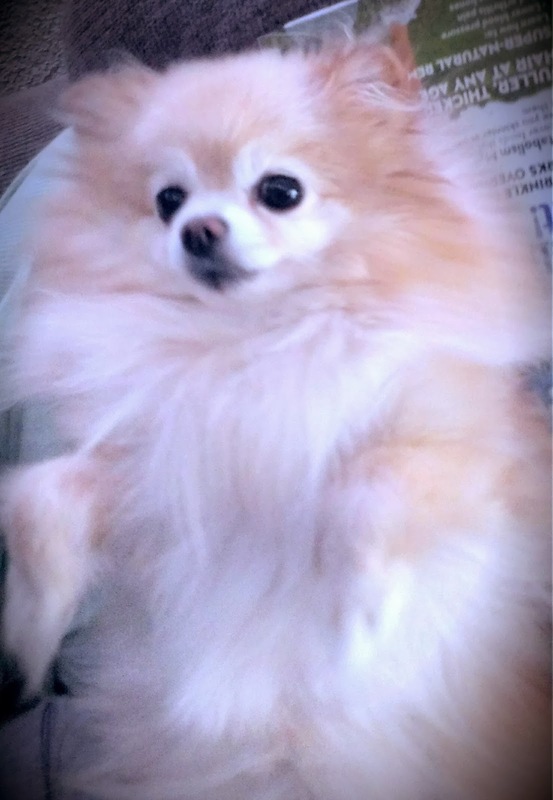 "My dog Asti is a Pomeranian. Exactly 1 year ago, he was diagnosed with a collapsed trachea. I was devastated that my little guy had the disease I had read about in the past -- I was completely freaked out as I didn't want him to be on steroids and other medication causing lethargy for the rest of his life!! 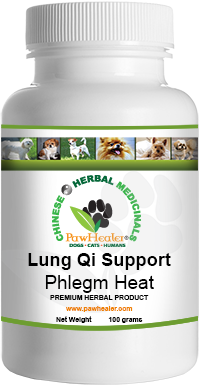 After searching online I came across your website -- I opted to order The hound honey Phlegm Heat and Lung Qi Support Phlegm Heat --- We are SO PLEASED with these products!! They have helped him tremendously -- I give him 2x per day and it does wonders!! He continues to be his playful self with his brother - thanks for such a superb product!! I have let my vet know and he too plans to recommend to other patients! Henry's Collapsed Trachea Cough...He's doing much better! 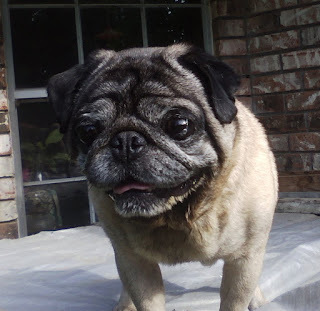 Thanks to Robert Woodburn for sharing his story about his dog Precious, and what he is doing for Henry to help with the chronic cough associated with what veterinarians diagnose as a collapsed trachea. PawHealer brand products help with this type of situation in a different sort of way. The treatment principle is to transform sticky hot phlegm, so that the lung system is not irritated. "My wife and I had just lost our Yorkie of 12 1/2 years, Precious, due to a collapsed trachea. Her little brother, Henry was already showing signs. Unable to endure having to see another little baby suffer and lose a life much sooner that necessary sent me scrambling to the interned desperately searching for anything that would comfort our little Henry other than using the prescribed medication, which meant near death, in Precious' case. That was the day PAWHEALER changed Henry's life for the better...immediately!!! He was taken off his prescriptions the day after he started Lung Qi, and to our amazement...he got A LOT better! He has been on the supplement for about six months. There is no way he would be here and be able to have the enjoyable, happy life he now has without Lung Qi. He would be gone, just like his sissy. To be clear, we still have to moderate his activity and use basic common sense, but Lung Qi has been nothing short of a miracle. We only wished we had known about Lung Qi when Precious was sick. It still breaks my heart knowing something could have been done..."
Thanks to Patricia Meeks for sharing Dulcie's experience while using PawHealer's remedy for cough using the formula: Lung Qi Support for Kidney Yang Deficiency. 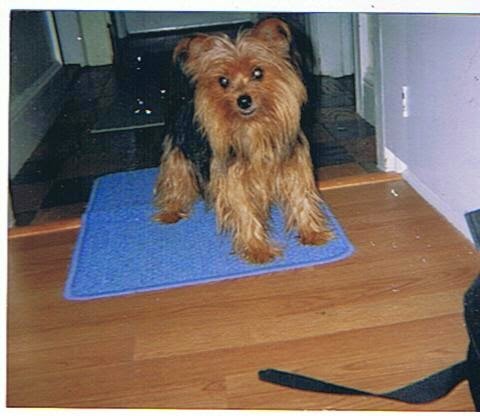 Asti diagnosed Collapsed Trachea......Herbs as an alternatve! 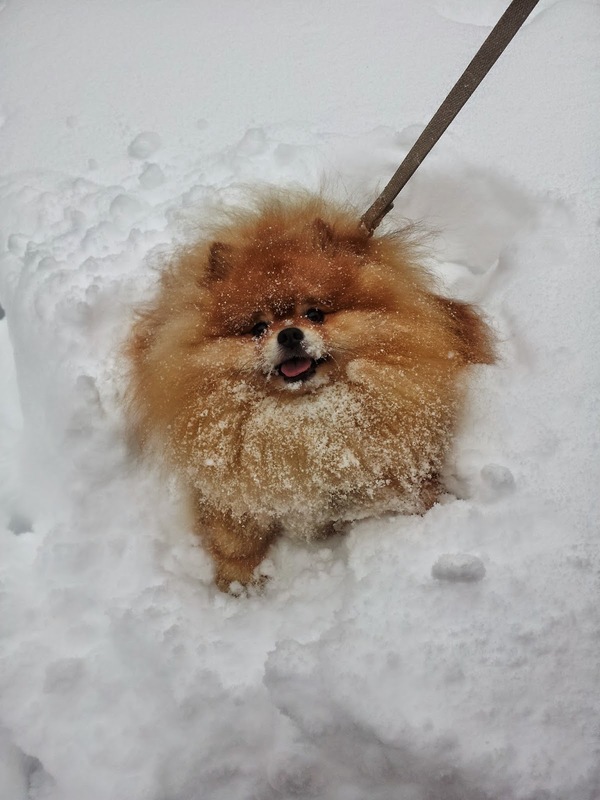 "My dog Asti is a five-year-old Pomeranian. Last September he was diagnosed with a collapsed trachea. Needless to say - I was completely traumatized as I didn't want him to be on steroids and other mess for the rest of his life!! 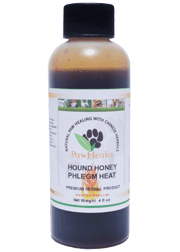 After much research I came across your website -- I opted to order The hound honey Phlegm Heat and Lung I Support Phlegm Heat --- I am SO SATISFIED with these 2 products - they are a true God Send! He's coughing has ceased for the most part - he goes for days without coughing or having any symptoms at all . More importantly he is not taking any other meds !!!!!! I am so grateful for this product in for finding your website - my dogs are like family and I only want to give them the best quality of life possible -- thank you for these amazing products I am definitely a customer for life !!!!! PS -- Asti thanks u too!!!!!" 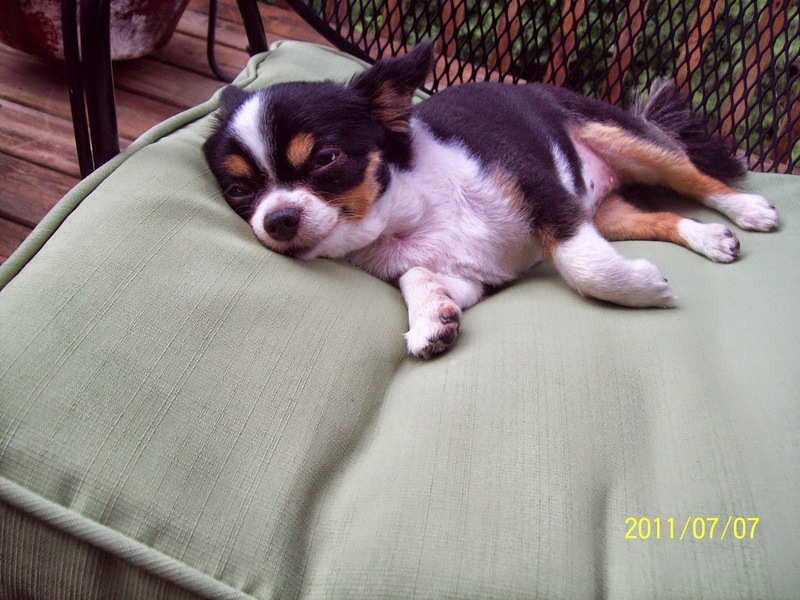 Chloe was diagnosed with partial collapsed trachea....PawHealer Brand Products! Chloe is an example of how Chinese herbal formulas can help with TCM patterns, in most instances little coughing dogs will respond well to Phlegm-Heat patterns...as Chloe did. But what any people don't know is that we have multitudes of formulas for various patterns. So if it does not work the first time, another formula, based on a grouping of whole body symptoms, can be assigned. 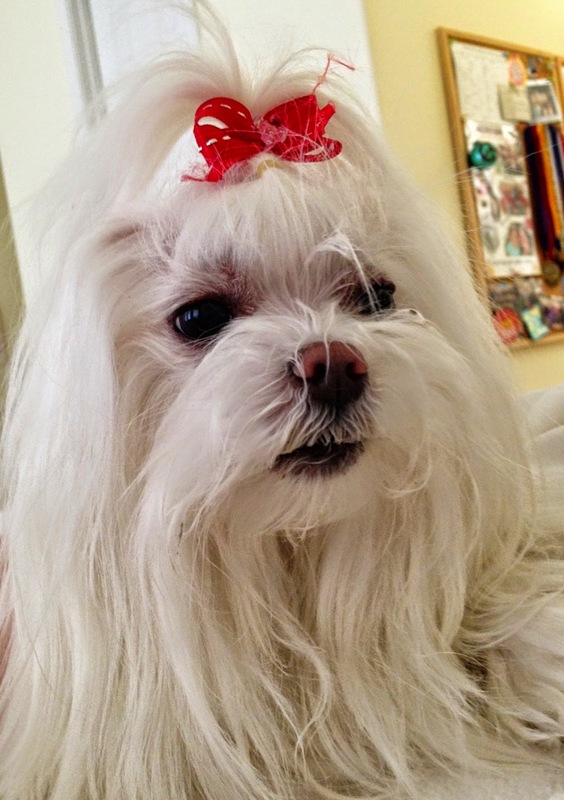 "Chloe was diagnosed with partial collapsed trachea. We tried cough suppressants, prescription meds, Theophylline cough syrup, and even Temaril-P. All of these worked for a short time but the cough would come back. The Temaril caused terrible side effects. My vet suggested your website. Several patients have their animals using your products. I filled out the questionnaire about Chloe and received a follow up phone call. 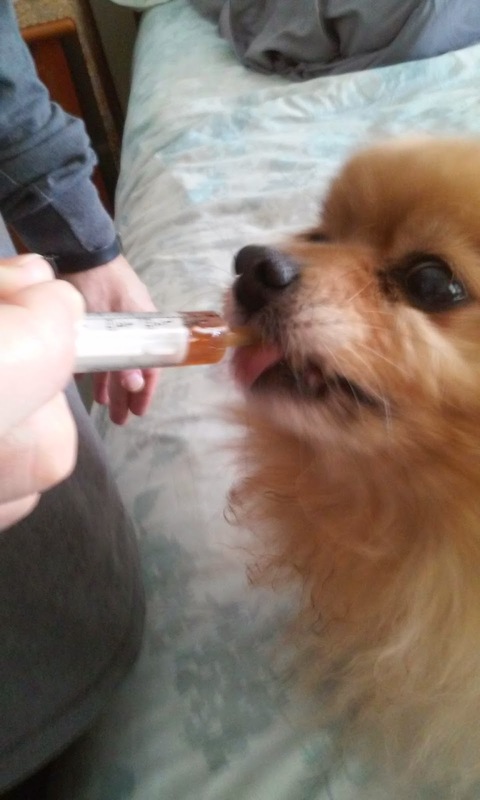 It was decided to have her try the Lung Qi Support and Hound Honey syrup. I use the Lung Support twice daily and have had tremendous success. Chloe's honking is minimal at best mainly just before she eats. I am thoroughly pleased with your products and support and happily recommend your website to others. Thank you so much! I have my precious dog back like she used to be!! 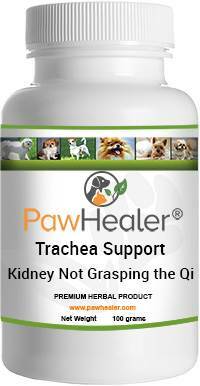 Thanks to Judy Farron for sharing her experience using PawHealer brand products. 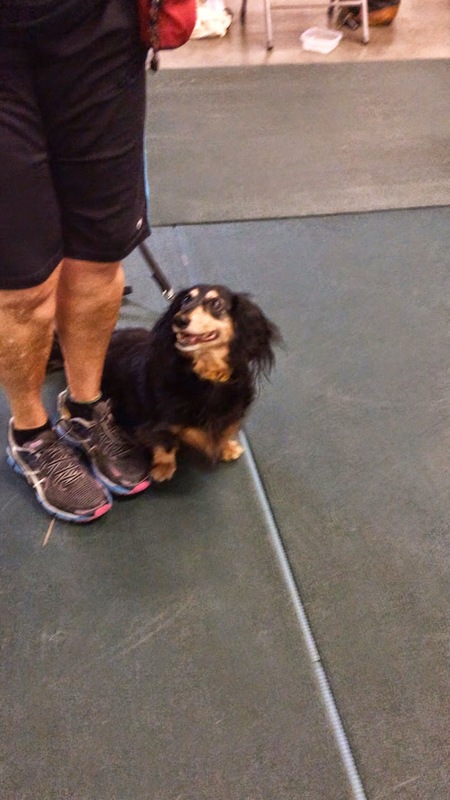 "We rescued an adult long haired Dachshund 2 years ago and immediately noticed a strange sounding cough - like a goose! I assumed it was Kennel Cough and took him to my vet. The doctor diagnosed a collapsing trachea - something I had never heard of. I did my online research and found this treatment. He still coughs, but much less. I highly recommend this product and will give it to Morris for the rest of his life." Your dog has Collapsed Trachea? Then you need to read about Penelope! "Penelope, who turned 18 years old last month, is so healthy that no one believes me when I tell them her age. Some even think she is still a puppy. 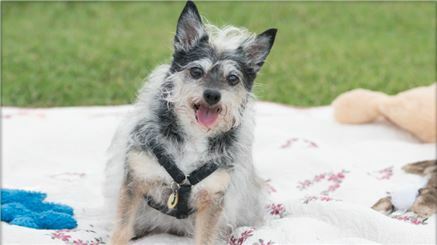 Paw Healer fixed her collapsing trachea when the veterinarian said there was nothing they could do except surgery when she stopped breathing. Now I have her on the herbs for her heart Thank you!!!" 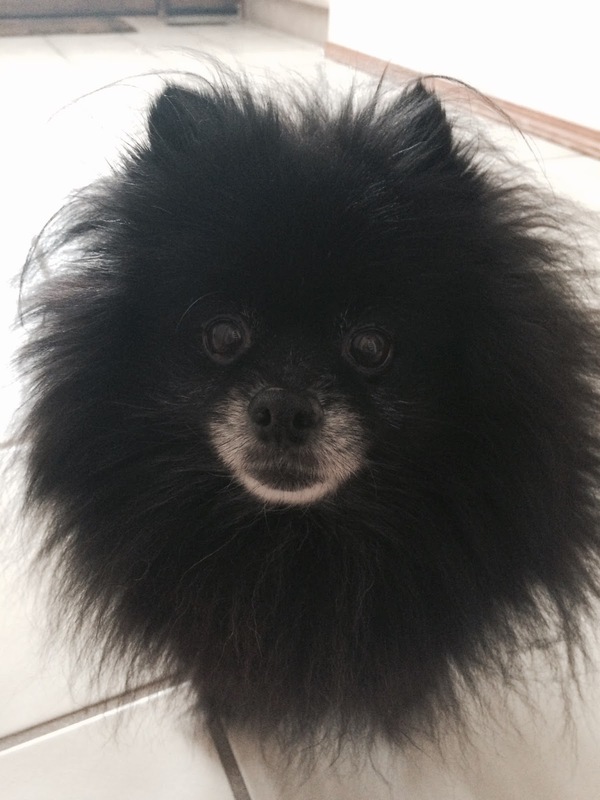 "My dog has been doing so much better with her collapsed trachea. She sleeps through the night and has fewer episodes. 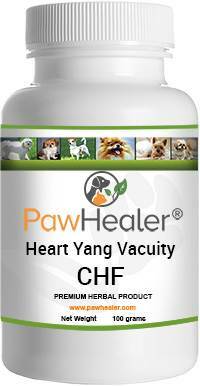 This product is wonderful"
"My Sadie has a collapsed trachea and when we went on vacation this summer she had so much anxiety from the trip she could hardly breath. When we got home I researched and found Paw healer, Sadie is doing wonderful now. She is like new. No breathing problems at all I am so happy with the results I highly recommend to everyone with this issue." 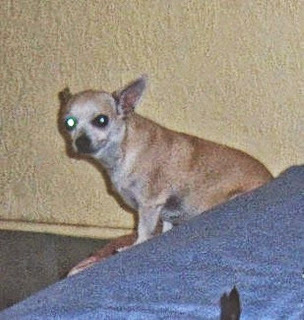 Dog Hacking Cough? 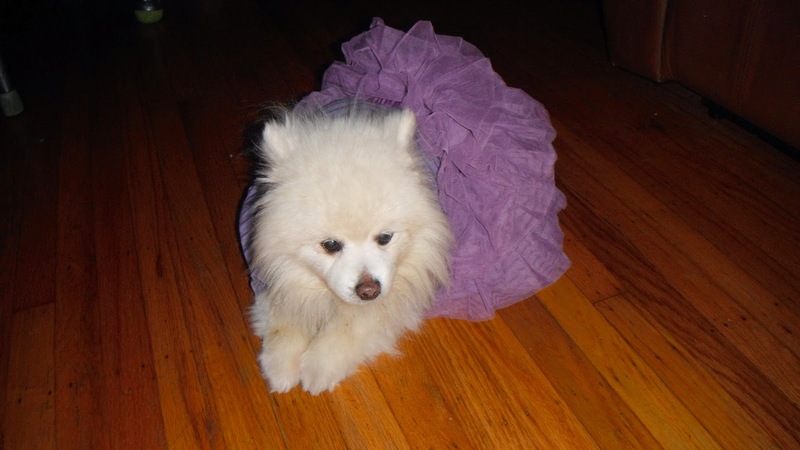 Read about Audry and maybe we can help your dog! 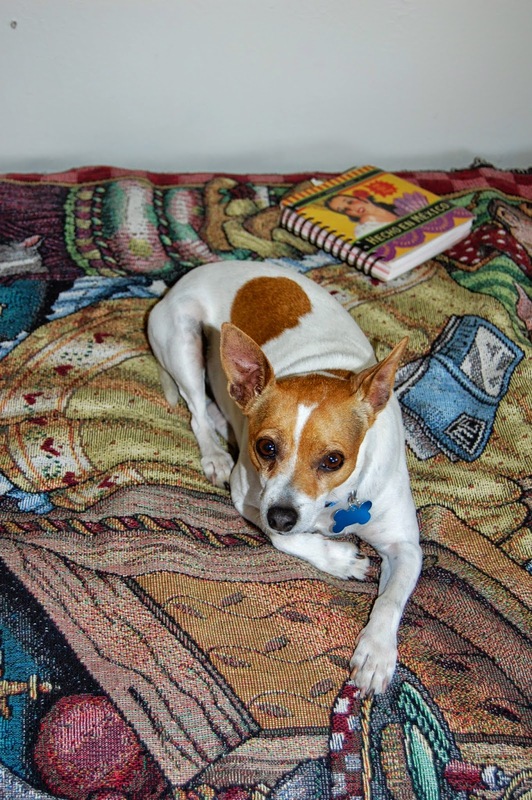 "Audrey is a 14 year old jack russell. She is a rescue from a puppy farm and I adore her. She has been developing a hacking cough that worsened this last year. After a couple of different prognosis from different vets and couple of months on western meds, she was only getting worse. I finally decided I would look for some herbs on line and found PawHealer. While I do not expect that she will be cured, she is feeling much better and except late night and early morning, her coughing is much improved! Thanks PawHealer"
"Audrey is a 14 year old jack russell. She is a rescue from a puppy farm and I adore her. She has been developing a hacking cough that worsened this last year. After a couple of different prognosis from different vets and couple of months on western meds, she was only getting worse. I finally decided I would look for some herbs on line and foudn PawHealer. While I do not expect that she will be cured, she is feeling much better and except late night and early morning, her coughing is much improved! 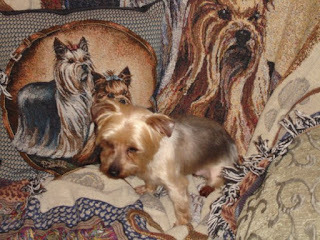 Thanks PawHealer"
Adoption and rescue...i think of the wounded heart spirit...when heart qi is weak, the heart will not be nourished...hacking cough is dryness...dryness can be a result of blood not flowing properly...then I read "collapsed trachea"
Thanks to Shirley W. for sharing the story of Kelly-Anamarie a cute little yorkie. 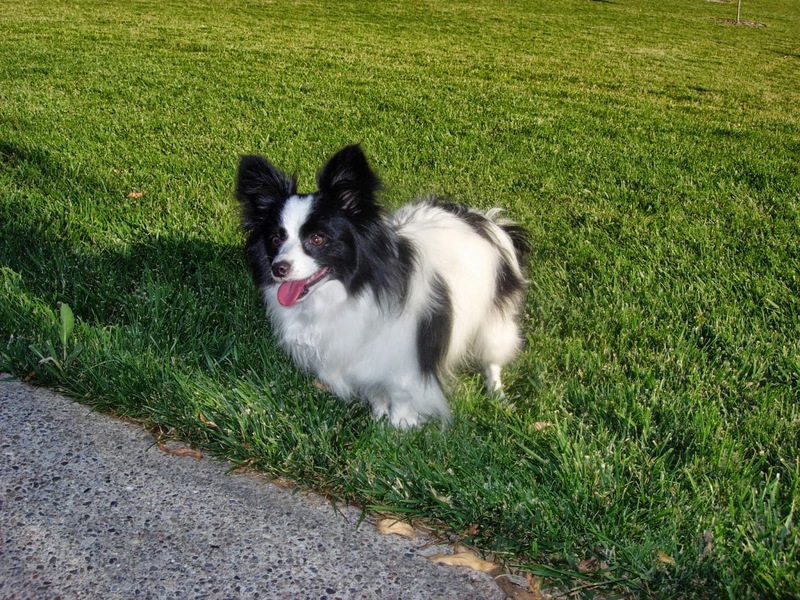 Thanks to Dr. Russel Swift DMV for referring Ju Yu Ryn to Pawhealer for her trachea problems. Dr Swift provides us with great pet products like Pettigreen, and all of our glandulars and organ meat whole food supplements. Dr. Swift knows I have been working on phlegm related coughing for seven years now. 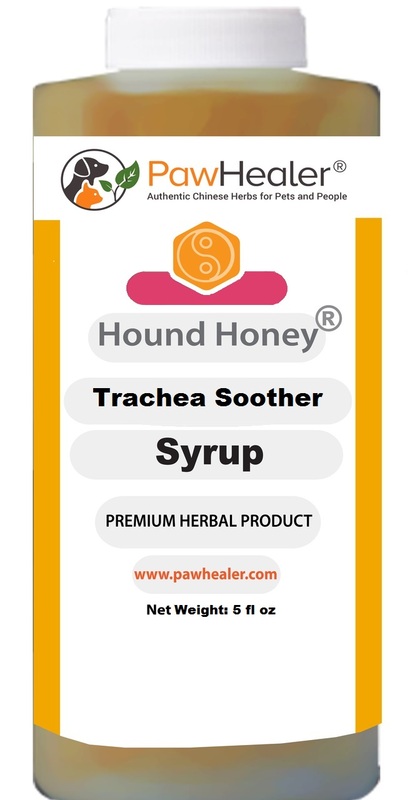 Coughing is our thing at PawHealer.com. Read about Ju Yu Ryn!! 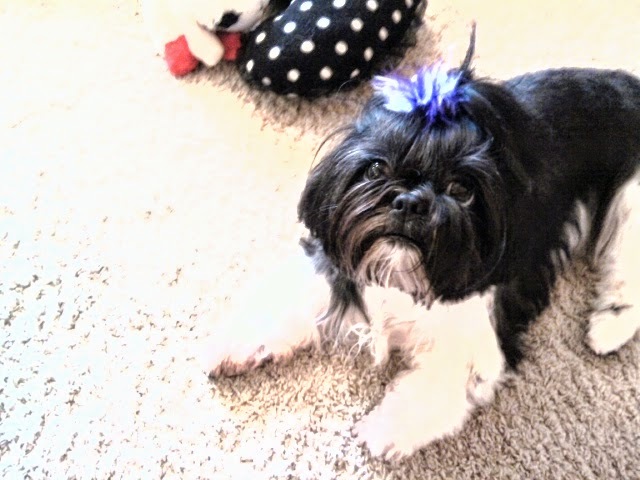 "Ju Yu Ryn is a small sweet shih-tzu who suddenly began panting heavily for no apparent reason more and more often. Ju Yu Ryn, always the most playful of her sisters (there are three of them) suddenly played less and less and seemed to labour even when she was just walking. She also developed a loud honking cough and separating herself from the family to seek out cold places alone. Keep in mind that she has always slept cuddled up with her two sisters and all the sudden she insisted on being alone and laying on the cold marble floor. There was also the unexplained vomiting. When Dr. 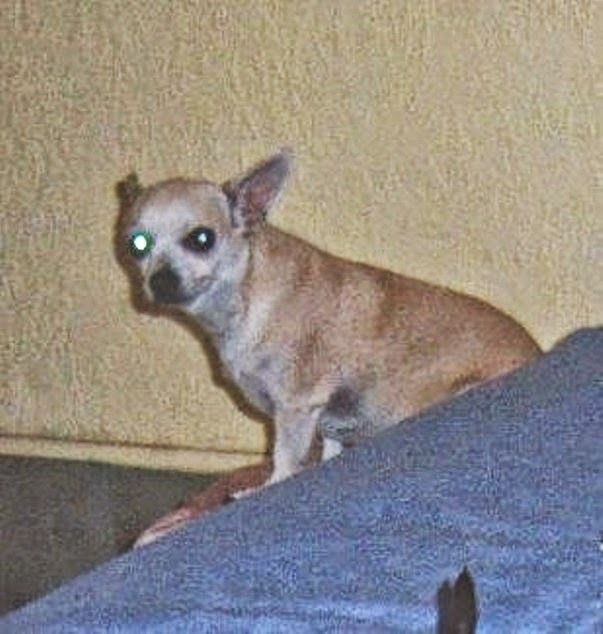 Swift diagnosed her with a collapsed trachea we were heartbroken and full of despair. But he suggested we try this combination. That was two years ago now and she has been more or less right as rain ever since. We have seen a huge turn around for our little girl. Within just a couple of weeks of starting these herbs the cough had lessened considerably, the play levels had started to come back up. Now you would never guess she has this problem. She is back to her old self and without any costly, dangerous, invasive surgeries. We are very grateful for this approach and highly recommend it." Thankfully Ju Yu Ryn is a responder to the herbs. It takes hard work to manage chronic dog coughing. Lots has to do with what you feed your dog. From a traditional Chinese medicine point of view...phlegm is the genesis of chronic coughing problems. The phlegm obstructs the lung network vessels that's why Ju Yu Ryn had trouble breathing. The function of the herbs are to dry up phlegm...digestive and lung phlegm. The digestion is the maker of phlegm and the lungs are the holder of phlegm. I help dogs that chronically cough by using the principles of Traditional Chinese Medicine...In the case of Tess..we assigned her the formula for Yang Deficiency type of rebellious lung qi (coughing). This formula was chosen because yang is failing to transform yin fluids...(mucus). We use warming herbs to promote the transformation of the thick fluids...and for Tess, this treatment principle is working. Keep in mind that dogs that chronically cough, will always need to be managed. This is through diet, supplements, and the right herbal remedies, and of course, a good veterinarian.